Nathaniel graduated from Southampton University with a degree in Podiatric medicine before beginning his professional life in North London. He has established over 10 years experience treating and managing a broad range of conditions for both adult and paediatric clients suffering with hip, knee, ankle and foot pain. 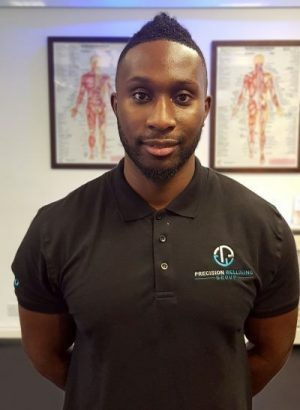 Having a personal passion for fitness and training he has a understanding of the needs required for keen fitness individuals, being a clinical specialist in managing musculoskeletal conditions of the foot he is able to prescribe and create bespoke orthotic devices to support the function of the foot and treat painful conditions of the lower limb with a biomechanical fault as the cause. How Can Nathaniel Help You? As a qualified Podiatrist and able to treat and manage general chiropody conditions Nathaniel is able to provide treatment for the following conditions; Heel pain; Foot pain; Knee pain; Ankle pain; Arch pain; Nail Surgery; Ingrowing toe nails; Biomechanics; Gait analysis; Verrucas; Bunions; Hallux Valgus; Orthotics; Orthoses; Insoles; Flat feet; Morton’s Neuroma; Plantar Fasciitis; Podiatry; Chiropody; Corns.